It's January, kick off the year with a commitment to continuous and measurable improvement! In 2015 the use of 4D planning and scheduling increased significantly- numerous presentations were made at conferences demonstrating the implementation workflows and the powerful results: improved safety, increased productivity, lower cost and greater reliability. The results come from the transparency and cooperation that true 4D visual scheduling enables. Why the big interest in 4D BIM for construction? The industry is at a point were complexity continues to grow and profit margins are slim- something has to change or the risks inherent in construction will outweigh the benefit. Traditional CPM and Gantt charts tools have been the standard for decades but the results have left the industry in a place where on-budget and on-time are not the norm and only sometimes achieved-last year in the UK only 40% of projects were delivered on time. Thankfully, however, the future is bright. Industry leaders who have chosen to challenge the status quo are reaping the rewards from purpose built 21st century digital technology. Synchro PRO is leading Improvement, Innovation and Cooperation- the results are significant. In the USA, Mortenson, Duke Energy, Austin Commercial, Ryan Companies, Beck Group and Walt Disney Imagineering are a few of the many companies transforming the metrics of project success. If you haven’t heard their stories, they are game changers. In the UK, MWH, Skanska, LendLease, Carillion and Crossrail are leading the industry forward. Sample metrics from projects utilizing Synchro PRO 4D BIM include 50% labor cost savings (MWH), 15% schedule time reduction (Ryan) and perfect safety records with no dropped objects, no recordable injuries and no near misses on nuclear turbine replacements (Duke Energy). These results are not unique, but they certainly are impressive and they are encouraging others to rethink the way things are done. Does scheduling occur in silos? Are dates and durations determined by the few? Are workflow and production reliable and steady? Does the schedule end up following rather than leading the project? Is there a lack of cooperation and shared understanding? If you had technology that provided the ability to truly understand a project before construction started, if you could see into the future of a project, could you avoid costly rework and make more informed decisions about constantly changing dynamics? Could you identify and resolve not only design issues but issues related to activities and resources in space and time- is there enough space in the laydown area for the deliveries? Will the crane operation interrupt other concurrent activities? Are different subcontractors scheduled to be in the same place at the same time? Rather than being an audit tool, a 4D construction schedule becomes the foundation of reliable and efficient project delivery. 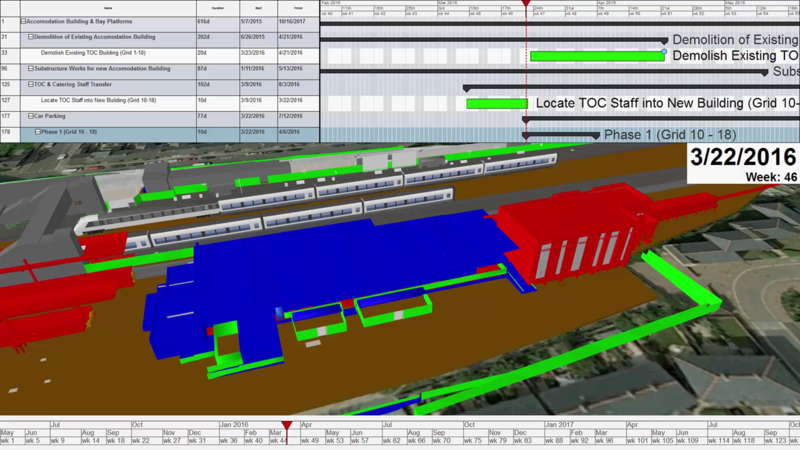 Synchro PRO is the most effective way to communicate and manage a project- people see it, they understand it and they engage with it in a way that was never before possible- 4D gives your entire delivery team the ability to see the approach, and to cooperatively optimize and validate the project plan before construction begins. 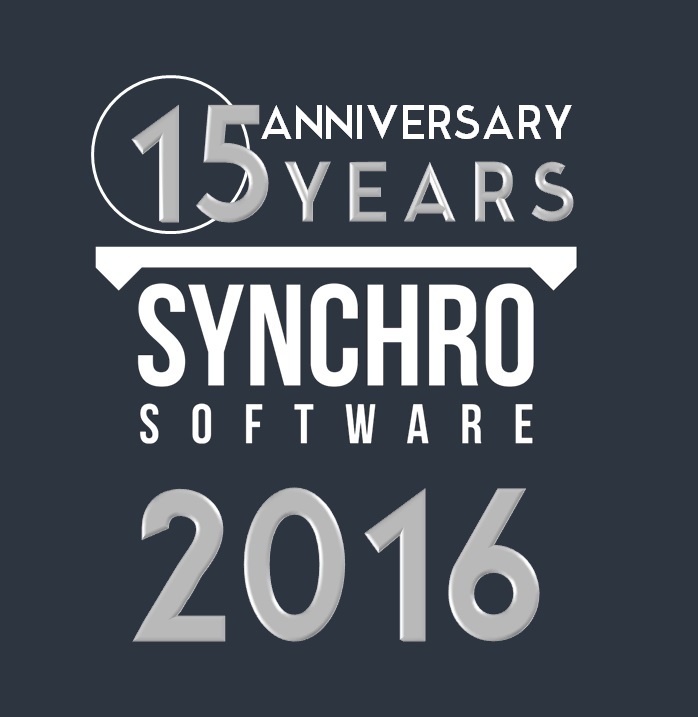 The Synchro Software platform is a high value/manufacturing precision environment in which to innovate and test alternative approaches. Your computer becomes a practice field where sequences, safety, spatial relationships and resources can be reviewed and discussed before ever going to the site- and then every day until the project is complete. However, there are some things you need to be aware of before you decide to spend any money. NOT ALL 4D PROVIDES THE SAME FUNCTIONALITY. Identify the problems you want to solve, test technology alternatives and be sure the software does what it says. Learn What You Need To Know in this White Paper. Think about interoperability with your existing technology tools, be sure to get true 4D with an integrated scheduling system, test import and export times- these are all important to your outcomes. If you get the right product, you will achieve the desired results. High levels of cooperation, lower costs and predictable outcomes will no longer be the exception. You will remember what you loved about construction and you will sleep better at night knowing that your project is on track. So if you haven’t looked into Synchro recently, invest the time to learn because if you aren’t using it today you are likely competing against it! Request a FREE trial and GET STARTED TODAY. If you are already a Synchronian, check out our new inventory of best practice videos and sign up for upcoming webinars or advanced training! Not ready for 4d? Request a FREE license of Synchro Scheduler.